A collector i know has this pouch / haversack. Belts are sewn to the pouch. 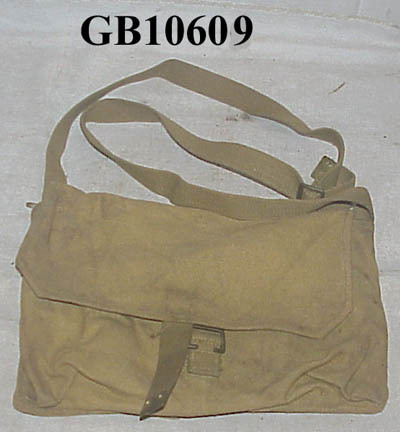 It is said that it could be a Despatch driver pouch/haversack. Anny comments on this one? I have asked for measurement. Perhaps the NATO stock number may give some clue? I had a look at the other link, and the NSN is most likely 8465-17-707-2566. Only the last 8 digits show, but the rest can be deduced by the stock class (8465 is pouches) and the country identifier code is most likely 17 which is for the Netherlands. So the NSN is not original to the pouches, as a Cdn pouch would have the country identifier 21. Yes I know the other pouch linked is wartime and pre-dates the NSN system, but when the NSN system was adopted by Canada, numbers were assigned to any existing stocks. So all that said, I am at a dead end for the above NATO number. My resources do not cover that number, and a google search does not bring it up. Thanks for looking that up cmpman! It's too bad the NSN didn't reveal anything. 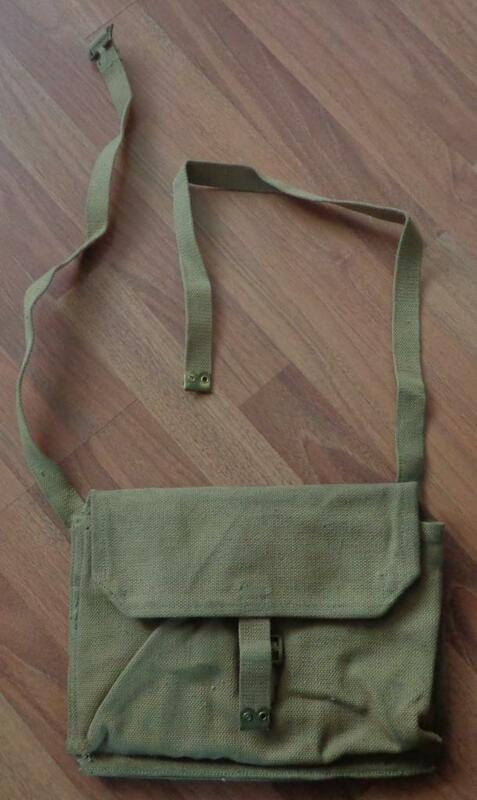 "BAG- WWI, (Haversack), all canvas web, for machine gun parts and accessories (Lewis or Vickers), w/interior pockets in which tools and parts were carried, broad arrow marked, EXC++, never used, storage dust only. Single closure strap, w/shoulder strap." 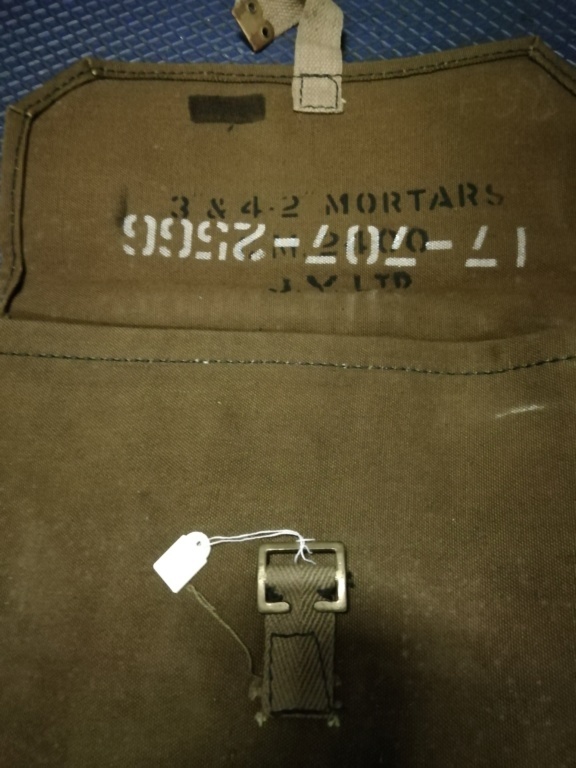 I found a similar pouch in the depot of the Airborne Museum at Arnhem (NL), including the mentioned stocknumber but with additional text on the inside: 3 & 4.2 mortar.